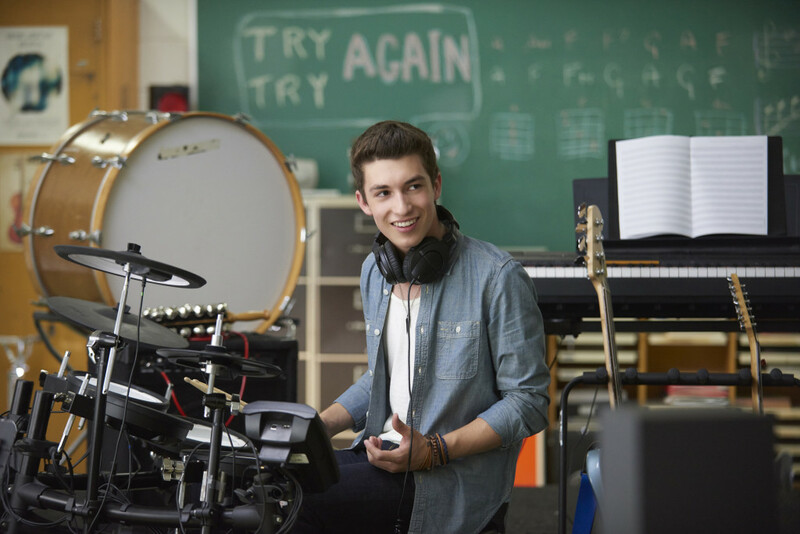 Toronto, ON – 16 February 2016 – Family Channel opens the doors to Keaton School of the Arts on Friday, March 18 at 7 p.m. ET/PT with the series premiere of its new drama Backstage from Fresh TV. Musical mashups and dramatic dance-offs are among the creative collaborations that fill the hallways of this prestigious arts school, and Backstage showcases an entirely Canadian cast of talented newcomers. The series features an original musical score and episodes are directed by notable music video directors including Director X (Drake, Iggy Azalea) and RT! (Snoop Dogg, Sean Paul) among others. The show marks the debut of Family’s fourth original series rolling out new episodes on the channel in 2016 and highlights the network’s vibrant original production slate filled with compelling series with exceptionally talented casts. Vancouver-native Josh Bogert stars as Miles in Backstage, premiering March 18 on Family. See the series trailer here; for artwork and series information, please visit http://press.family.ca. Backstage follows a group of outstandingly talented teenagers as they live through the highs and lows that come with attending the elite Keaton School of the Arts. New friendships, unparalleled competition and defining moments await them as being a Keaton student is meant to set them on the path to stardom. The dramatic heartbreak and blazing triumphs these artists experience send ripples through the school, capturing the intensity of every audition, rehearsal and performance that could make or break their careers. Following the series premiere, new episodes of Backstage will air regularly Fridays at 7 p.m. ET/PT ahead of The Next Step. Episodes will also be offered on Family OnDemand as they become available weekly beginning March 19. The stage is set for March 18 as Backstage is followed by a new episode of Family’s #1 drama, The Next Step, at 7:30 p.m. ET/PT. West receives a mysterious package from London, England and Noah collaborates on a song with Amanda. Fans can go behind the scenes at Family.ca and learn more about Backstage’s characters through exclusive photo galleries and videos. Launching the week of March 14 is TooMuchKeaton.com, socialite Sasha’s epic blog where weekly posts, video tutorials and character confessions keep everyone in the know of what’s happening in the halls at Keaton. Backstage stars the immensely talented: Josh Bogert as Miles; Aviva Mongillo as Alya; Mckenzie Small as Scarlett; Devyn Nekoda (Degrassi) as Vanessa; Alyssa Trask as Carly; Julia Tomasone as Bianca; Matthew Isen as Jax; Colin Petierre as Sasha; Romy Weltman as Kit; Kyal Legend as Julie; Adrianna Di Liello as Jenna; and Isiah Hall as Denzel. Commissioned by DHX Television, and with international distribution handled by DHX Media, Backstage was created and developed by Fresh TV. Executive Producers are Brian Irving, who also serves as producer; Jennifer Pertsch, also the co-creator and a writer; Lara Azzopardi, the series’ co-creator, show runner, writer and director; Tom McGillis and George Elliott. Directors for the series include top music video directors RT! (Snoop Dogg, Sean Paul, Shane Harte), Director X (Iggy Azalea, T.I., Drake), Wendy Morgan (Dragonette, Janelle Monáe) and Warren Sonoda (Johnny Reid, George Canyon), as well as Mario Azzopardi (Stargate SG-1, The Outer Limits, Degrassi) and Lara Azzopardi (I am an Apartment Building, Rewind). Follow Backstage on social media for more information about the series, introductions to the characters and to see new video content as it’s released: Facebook.com/BackstageTVShow, Twitter: @backstagetvshow and Instagram: @backstagetvshow. Family Channel offers the best in family television entertainment in a premium, commercial-free environment. Dedicated to celebrating family life and providing a daily vacation for children and their families, Family airs a unique mix of top-rated Canadian and acquired series, movies and specials. Family is also home to F2N – an entertainment haven for teens that features high quality programs after 9 p.m. Family Channel subscribers have access to Family OnDemand and Family Online at no additional cost, to see hit movies and series when they want them, where they want them. Visit us at Family.ca. DHX Television is comprised of Family Channel, Family CHRGD, Family Jr. and Télémagino, and is part of DHX Media Ltd., a leading creator, producer, marketer and broadcaster of family entertainment. Dedicated to celebrating family fun, DHX Television delivers best-in-class programming through premium subscriptions and its original production mandate, and creates and produces captivating in-market events that appeal to Canadian families. DHX Television is home to world-renowned series including The Next Step, Degrassi: Next Class and Teletubbies. DHX Media Ltd. has offices globally, and is traded on the NASDAQ and Toronto Stock Exchange.